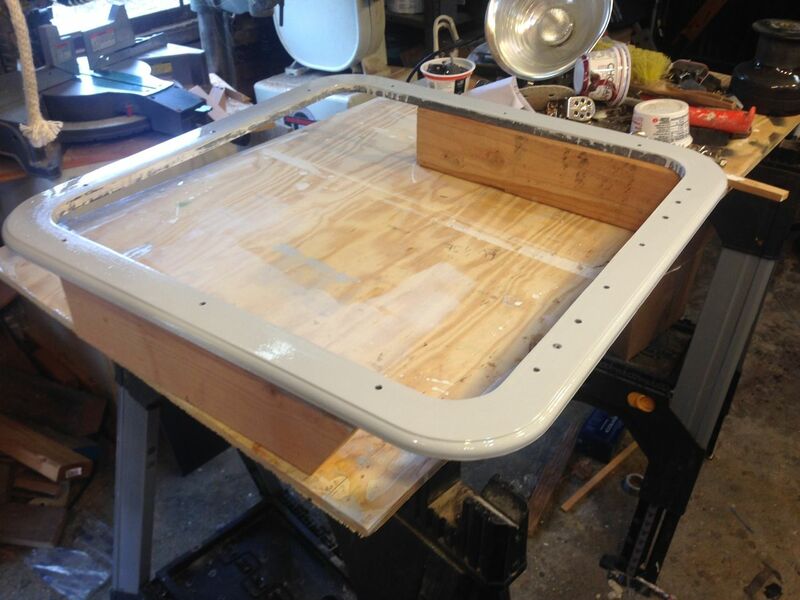 The original hatch of the Olson 30 is a plastic construction with friction knobs on siding plastic stays to keep it open. 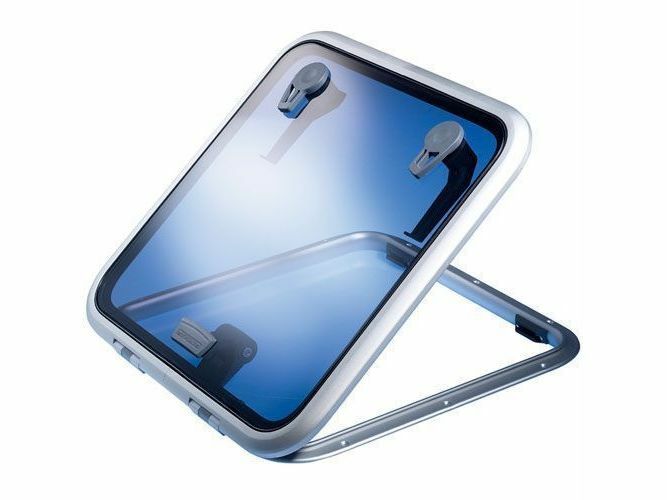 It cannot be opened from the outside unless it is unlocked and it will not stay open easily with a one-handed operation. To keep it open requires holing it up and then tightening the knobs on the side stays. 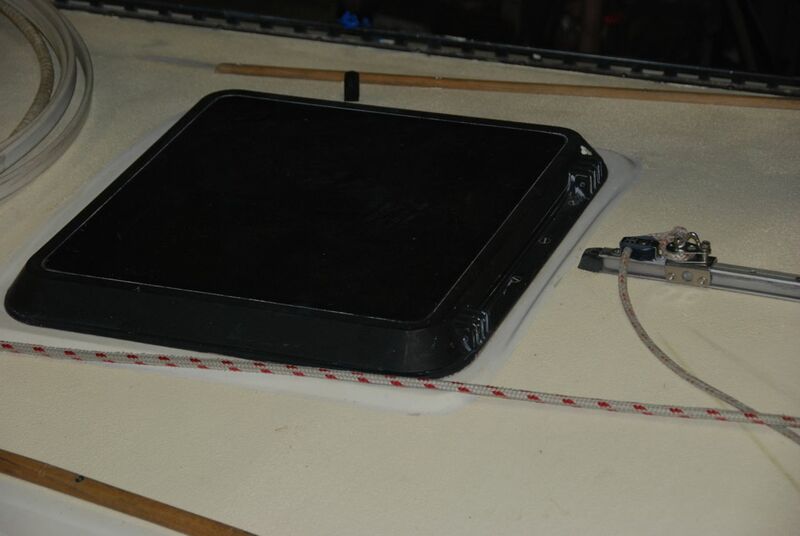 The hatch opens forward which is good for launches but can allow a lot of water in if sailing with the hatch partially open, which can be the case in a W/L race. 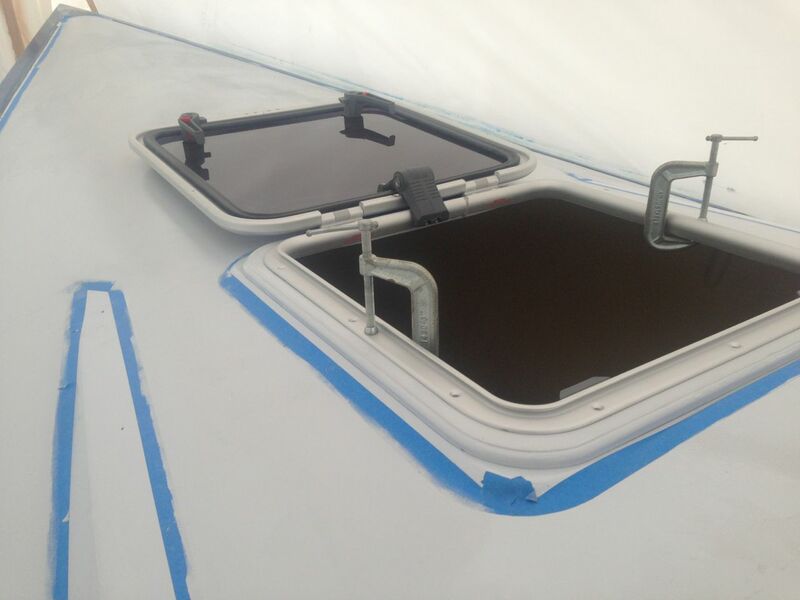 The newer style Lewmar Ocean hatches solve all of these isues including being able to open and close the hatch from outside the boat, being able to flop the hatch completely over (if installed with the hinge forward) and ease of adjusting the open angle of the hatch due to the Lewmar friction hinges. The Ocean hatches also do not have any stays, so the opening is completely clear and smooth for the chute to pass in and out. 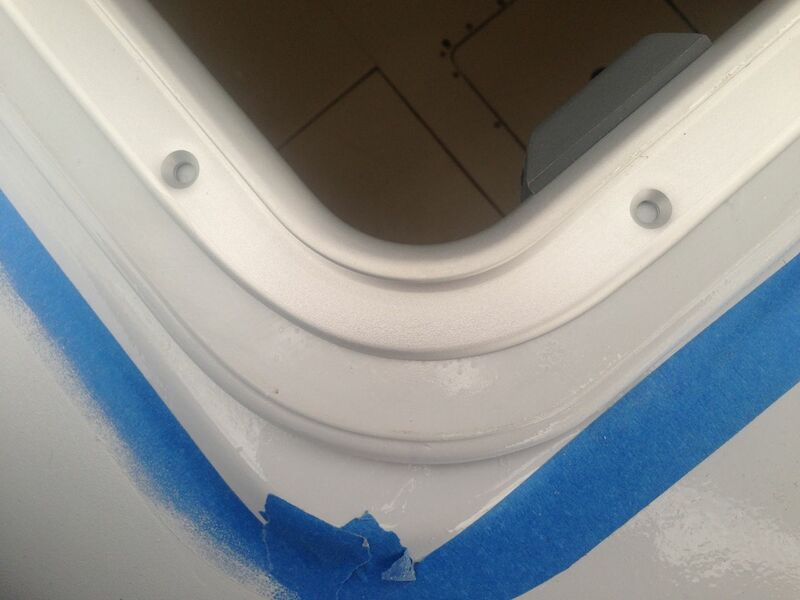 Many owners have installed a new hatch, most commonly is Lewmar 60 Low Profile flange base, part number 39960030. This hatch does require some fitting to make it work, especially if you wish to install it with the hinge towards the front. 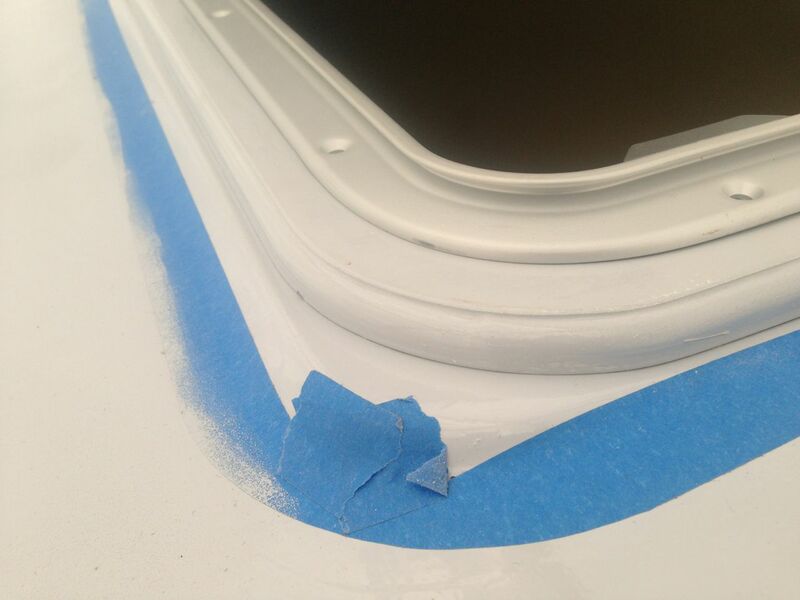 A spacer ring must be mounted between the hatch and the hull to allow the hatch to open without fouling the area of the hull adjacent to the opening. Bottom image is a dowloadable pdf. file of the required ring which can be made from 1/2″ PVC sheet or Starboard, or even marine plywood. 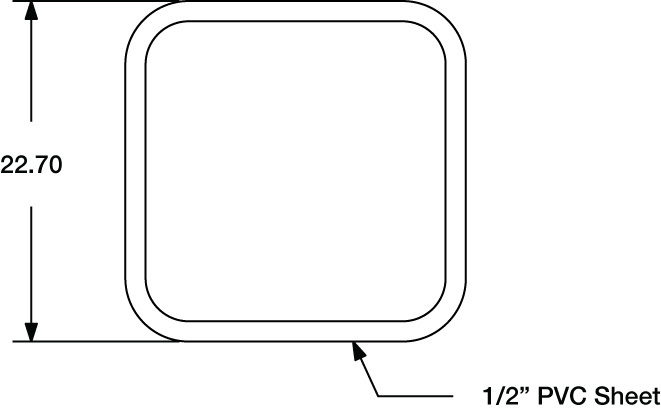 If you would like a .dxf file of the hatch ring, email the webmaster. Image below links to a downloadable pdf.